If you like camping and campfires then you should take a look at this men’s t-shirt. The t-shirt has a v-neck and comes in charcoal, white or grey and is made from 100% cotton. You can get this t-shirt in sizes Small -3XL so that you can get the perfect fit. 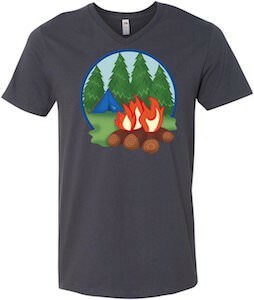 On the t-shirt you can see a circle and in the circle you can see some trees and grass and in the background a blue tent because camping is done in tents an then all the way in the front crossing the edge of the circle a nice campfire that has plenty of warmth in it to make a S’More to two. 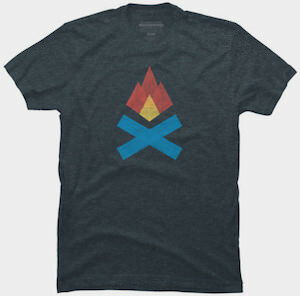 Come and check out this Camping And Campfire T-Shirt.